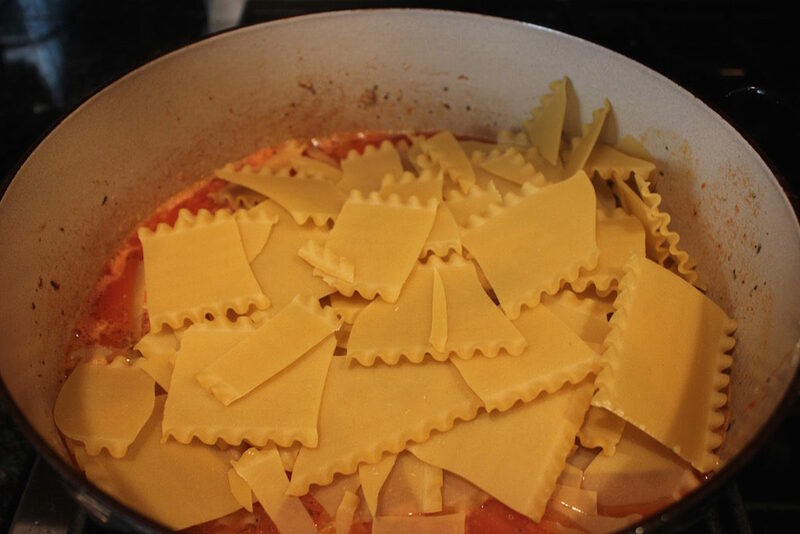 I recently saw on one of the social media sites a recipe for one-pot pasta. What an amazing idea! Is is possible to make One-Pot Meat Lasagna in an hour or less? I was intrigued and thought this was a wonderful idea for a quick and easy back to school dinner idea. One of our favorite pasta dishes is lasagna, but that takes too much time for a school night dinner. 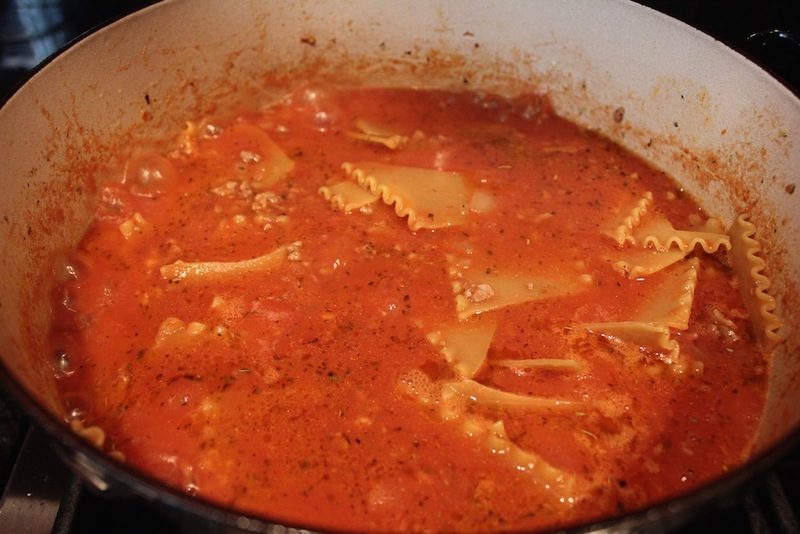 It’s kind of ironic that we’ve been programed to cook pasta in tons of salted water to keep it from sticking, drain, don’t rinse to preserve the starch and then finish cooking in the sauce. This one-pot idea accomplishes all of the above and so quickly. 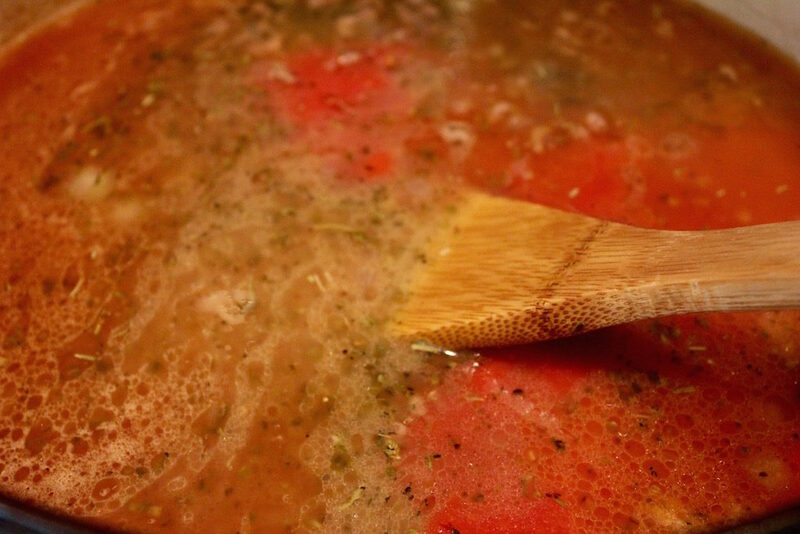 Use a large heavy-bottomed large Dutch oven or saucepot that heats evenly. 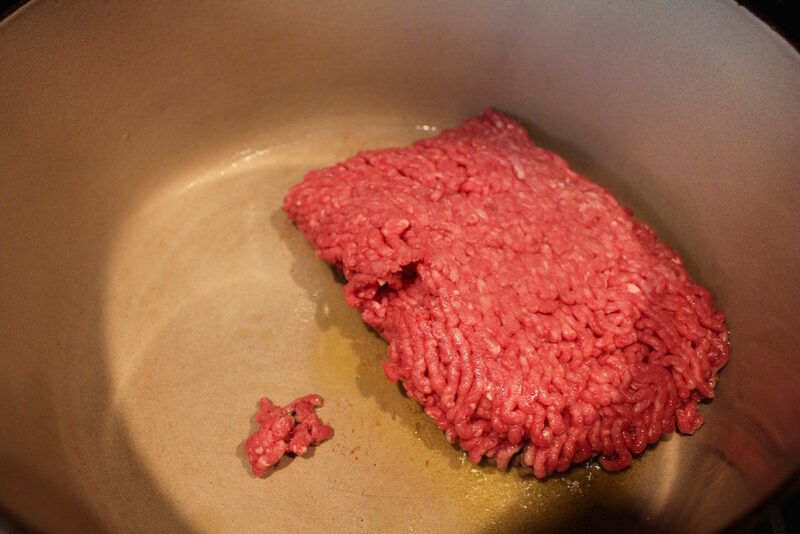 Place the beef in a hot pan with the oil. 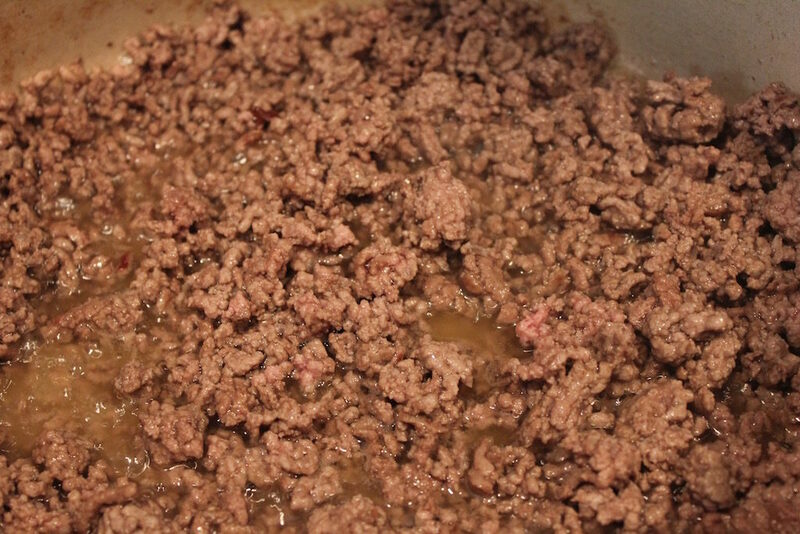 Use a wooded spoon to break up the meat into small pieces as you cook the meat. Stir in the onions and cook for a couple of minutes. Add the garlic and Italian herb seasoning and stir for 30 seconds. Stir in the water and the tomatoes. The pasta emits lots of starch and requires constant stirring or it will stick to the bottom of the pan and burn. Don’t add the pasta until all pre-dinner chores are done and you or someone else in the family can spend time at the stove. The pasta takes a good 15 minutes to absorb the liquid and is done when the noodle easily yields to the side of a fork. 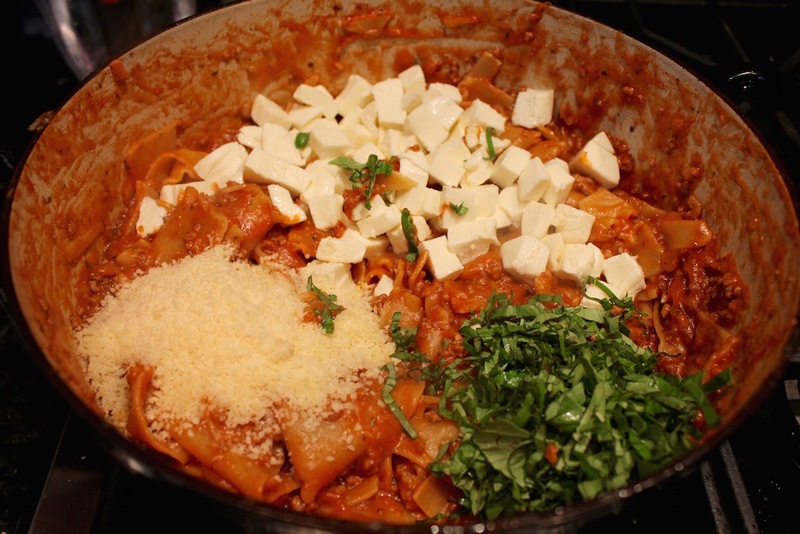 Take the pasta off heat and stir in the mozzarella, Parmigiano-Reggiano and the basil. Let sit for 30 seconds and stir again. The dish is ready when the mozzarella becomes a little stringy. Serve in warm bowls with extra basil or parsley as a garnish. Heat the oil in a large saucepan on high. 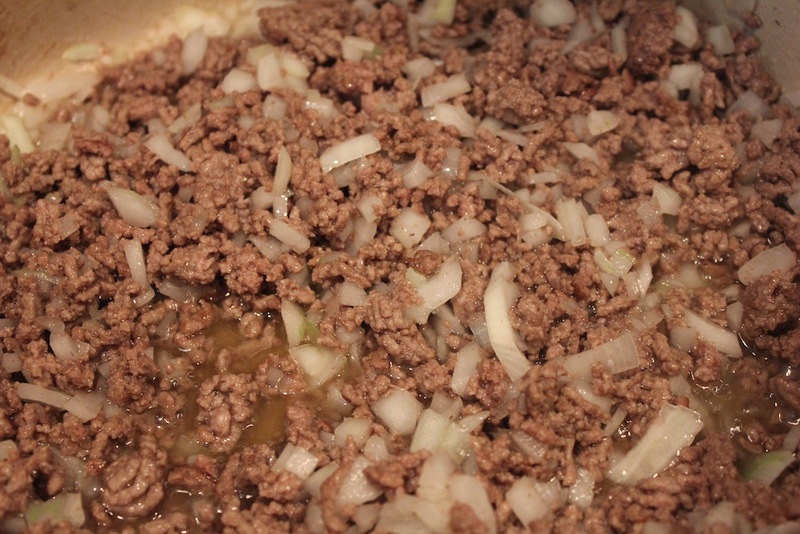 Add the beef and break up into small pieces with a wooden spoon as it cooks. Stir in the onion and cook for a couple of minutes. 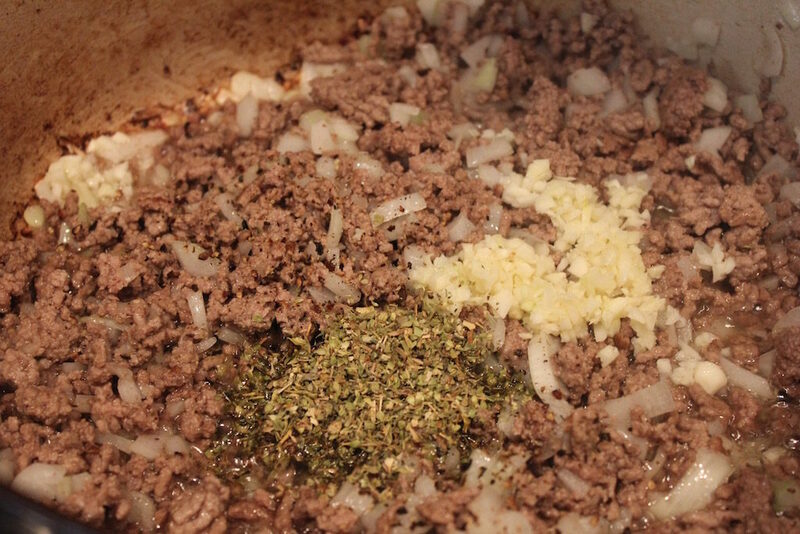 Add the garlic, herb seasonings, salt and pepper and cook for 30 seconds. Add in the tomatoes, water and broken lasagna; stir to mix well. Bring to a boil, lower the heat to a gentle boil and continue cooking and stirring constantly for the suggested time on the lasagna package. Cook until tender.